Services | Albertson, NY | Kovacs Security Systems, Inc.
A sense of security can mean many different things; sleeping easy in a home that's electronically secured, entering a well-lit house, or knowing your kids have arrived home safely from school. By listening to our customers, the staff at Kovacs Security Systems knows what matters most. Our security systems are all monitored using only the best U.L. 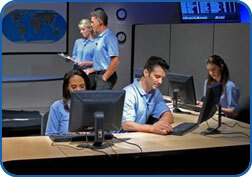 Certified Monitoring Station for your security - 24 hours a day, 365 days a year.